The following is an excerpt from an article by Sara Yoheved Rigler which appeared last week in Ami Magazine. These paragraphs blew me away; I hadn’t realized how dramatically different the potential for connection is in the marriage relationship vs. our relationships with anyone else. “Because of its exalted potential, having not just a peaceful marriage or a good marriage but a great marriage is a great challenge. The obstacles are legion. A wife’s negative reaction to her husband’s leaving his socks on the floor or a husband’s negative reaction to his wife’s tardiness can turn to a potential Garden of Eden into an ordinary, weed-infested backyard. No matter how well you care for your children, how much chesed you do in the community, or how much time you devote to your prayers, working on your marriage should be the keystone of your spiritual life. Rabbanit Yemima: "I Bless You Your Family Will Not Thank You"
This is so true. I can tell you from experience. This is my 48th. year of marriage. Because I put him first as much as I possibly could – and he with me – we have the sweetest relationship to this day. No other friend is as dear to my heart as he is. leisel, that is so beautiful and special! may you share many, many more lovely and happy years with your husband. Thank you, Rochel! We have six children, four grandchildren . . and one more due just any day now. Blessings abound! My husband’s health situation has brought us to take each new day together as a precious gift from Hashem. v’hachut hamshulash lo vimhayrah yinatake, yes, two are better than one, but a threefold cord is not quickly broken. Key to a long, happy marriage – include Hashem. Why are all these concepts always droshed as black and white when there is SOOOOOO much grey?! A lot of women work and raise families. The only time they see their friends might be at a shiur , school meetings, shul, around and about. Stopping to shmooze before running home to husband hearth and family is often the only way to keep a friendship alive. Do we REALLY need the burden of “disconnection” hanging over our heads for this?!?!?! How much more GUILT does a woman need!!!!! 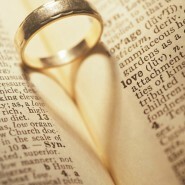 Just because a marriage has huge potential does not mean that it is sacrificed. A woman needs to socialise and replenish other sides of herself in order to have that much more to give to her spouse. Our potential is only realised when we feed those parts of ourselves and our neshamas that need to be fed, so that we have what to give others. If a woman needs to be social and to connect with other women, then so be IT!!!!!!!!!! People need balance in their lives and I believe it is unhealthy to preach this kind of all or nothing message. YL, my response was exactly the same. Yes, we want to connect with our husbands but the article seemed to be saying that we have to have no connection with anyone else and have no friends if we want to have that connection with our husbands. Is it such a terrible crime to want to chat to our friends also? I don’t think my husband would want me to have no social outlet except him. hi yehudit, i agree with you– tachlis I would stay after the shiur to talk with the friend. It’s so important to have social outlets outside of marriage. The reason I posted this–even though I don’t agree 100% with that piece of rabbi kelemen’s advice, is because I feel this article is an important reminder that of all our relationships, marriage should be where we invest the most effort. Since, for so many women, marriage is also a challenging relationship, it’s important to remember that despite the challenges (and even tensions and feeling of disconnection) a wife experiences, on a spiritual level our deepest connection is with our husbands rather than our best friends or children– whether we feel that connection or not. I respectfully disagree with the rabbi. It is important and healthy to connect with our friends and can even enhance our marriages. For me, it was exactly as Chana Jenny just stated, “on a spiritual level our deepest connection is with our husbands” at least it should be, rather than with others. This doesn’t mean you do not visit with others and develop friendships and other relationships. To me it means that we use wisdom in keeping our priorities straight. We need quality time with all the people in our lives yet, our husbands and children need to know that they come first. YL is right, there is so much grey! This is why we need wisdom. I think the subject is not wether or not to have friends and social relations outside our husband; but it is good to remember in these times when we have so many connections with strangers at work or on fb or whatsapp that any time we spend evening time on the computer or chatting on the phone we are losing an opportunity to get close to our other half! We should make an introspection after this article to examine where we are in termes of connection to our husband and he with us! It is not an all or nothing choice. We need connections the main thing is prioritize especially so that our husbands realize that they are #1 in our lives. This can be done in subtle ways. Undermining a marriage is easy, building a strong marriage takes effort. The investment is worth it!